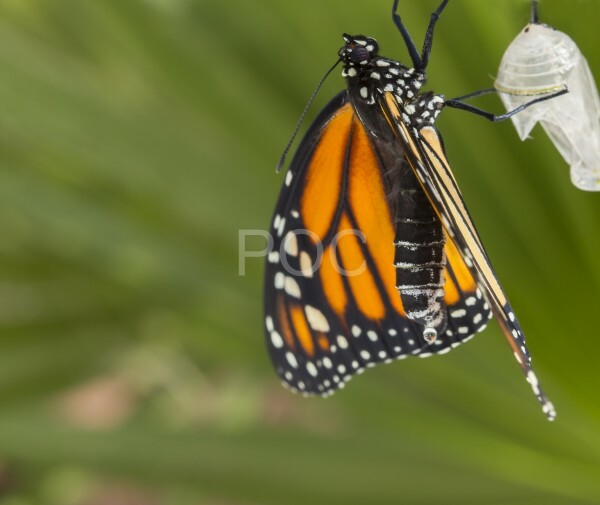 Stock Image of a Monarch Butterfly with its empty cocoon, pupa crystalis. Notice the drop of fluid coming out of the butterfly with the reflection of the butterfly wing. Butterflies empty their body of fluid as they pump and dry their wings in preparation for flight.